The fifth album from Floridian quartet Trivium finds the band returning to the more metalcore, less straight-up thrash, direction of 2005's Ascendancy, while exploring new directions. Standout tracks "Watch the World Burn" and "Caustic Are the Ties That Bind" echo the catchy choruses and blistering riffs that have first made the band popular; lead single, "In Waves," meanwhile, suggests Fear Factory with its scathing title refrain. Unfortunately, many of the other songs sound too similar and simply blend together, and the frequent layering of melodic singing over blast-beat drumming sounds out of place. 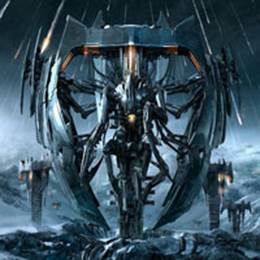 An inconsistent record with flashes of brilliance, In Waves should, however, keep diehard Trivium fans happy.